Club 80-90 Forums • View topic - Syncro fuel capacity or a possible sender issue? Now that the van is getting driven I have another question......any help much appreciated. Looking at an old thread on the Brickyard, Simon writes "All 2WD tanks are 60 litres, syncro are 70 litres. unless, you have a south african van, which may or may not have an 85 litre tank, as well as some Oettingers, which also had the 85 litre tank." Re: Syncro fuel capacity or a possible sender issue? If you follow the calibration method on gowesty then the main thing to work out is where the needle is when you have 2.5litres of fuel left (or something, i cant remember). Knowing when you are about to run out is the main thing. New fuel sender was calibrated from a completely dry tank + 10L of fuel, to the top of the red "reserve" zone, when it was installed with the clock set that was in the van at the time. Anyone wanting to check the level reading can do so. Drain the tank as much as possible. (impossible to drain every last drop, but not much will remain in there) and refill with a measured 10L of fuel..
Run the vehicle to the reserve zone, make sure you have plenty of capacity to drain into BEFORE you start.. Drain the tank in a well ventilated area into proper fuel containers..
they are a bugger to fill! And as mentioned above even the vw replacements needs calibrating. I have a new sender in mine, i know the top of reserve =10L as that has been set. I'm finding it increasingly hard to get a full 70L in, it has bugged me enough to look.. as i get bored and give up with i reckon about 60L in there. I'm going to replaced both the small and large breather that you can see behind the filler cover (in fact my small hose isnt even there! guess its loose in the bottom of D pillar which wont help) also if i peer down the filler neck i can see a slight kink, but i dont think enough to cause an issue. i also find different fuel stations give better fills than others, frothy fuel i guess? But even when i can get a proper full tank in, those last 10-15L take a while. I presume that the plastic float is actually half full of fuel due to osmosis, making it read low, had this occur on other classics. Doesnt explain the fuel starvation though. I have however managed to get 55-60 litres in from being dangerously low on many occasions, so brimming the tank is quite possible. Mine is being a right bugger to calibrate... brand new VW sender too. Throughout my life with VWs i have always had an issue with the damn fuel senders. (And sliding doors but thats another story). Any tips on how to drain the tank to allow calibration? The accuracy of our fuel gauge is a completely unknown quantity, so I generally end up filling the van before doing any proper mileage. I'm glad it's not just me having issues at the pumps with frothy fuel and endless stops unless the fuel is running slowly. As others have said there are some garages where the pump just works but most cut out continuously. Heya lloydy. Long time no see. Well, annoyingly when i first tried to calibrate mine it was empty as i had the fuel tank out.... but it obviously didnt work. I tried to do it the other day by just draining the tank from the bottom fuel line. i assume that is enough. I might try jacking up the back and the opposite corner once it stops coming out and see if anymore comes out but im not bothered about it being hugely accurate. Just need to know when i have 30miles left in the tank. Strangely, i got it working well out of the tank, but then when i put it in the tank the needle moved up to the bottom white line (when empty) but then when i put in the 9.5litres to get it to the top of the red it didnt move. got cheesed off and needed to use the bus so just chucked a load more in. Even when i filled it up completely it never went to full. I need to go throught the process again as i can only assume i missed something simple. ps, frothy fuel is a right pain! "burping" the tank by rocking the van and easing off on the nozzle as it gets close to full are essential if you want it brimmed. bene wrote: Well, annoyingly when i first tried to calibrate mine it was empty as i had the fuel tank out.... but it obviously didnt work. Oh and I emptied tank by drain from the spigot underneath, doesn’t really matter if there is a bit of fuel elsewhere as if there no fuel at that spigot you won’t get any at the engine. And make sure the sender is orientated right, one bolthole out either way will give you bad readings. Would like to post on here more, but photobucket have screwed my build thread. Need to decide whether I just pay them. 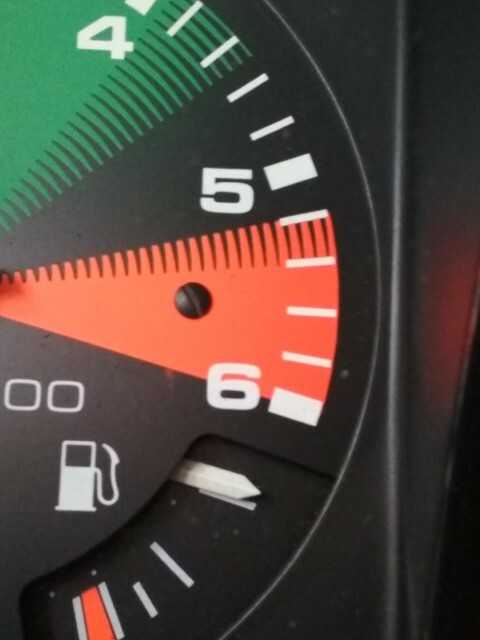 Run my Green machine down to the last quarter of the red today, then chucked 59 Lt of petrol in and the gauge red just over 3/4 full on the restart. its the original sender still working fine. well just filled up again today, I got the needle to more or less where it was when I did the last fill at the start of this thread. I done 245 miles between fills (20mpg), I just put in 55.37L and drove 47 miles home and this is where the fill needle is at. I was too far from home to take a chance on not filling up but when it runs down again I think ill drain the tank and see how much is left. I have just refilled with shell v power to see if there is much difference in the mileage this time.